The Bronx Defenders is thrilled to announce that it will receive the National Legal Aid and Defender Association’s 2013 Clara Shortridge Foltz Award for its work pioneering holistic defense in the South Bronx. The Bronx Defenders is deeply grateful for the award and honored to be recognized as one of the many defender offices that have improved the field of indigent defense in recent years by finding innovative and daring ways to challenge the criminal justice system. The Bronx Defenders would also like to thank Steve Schulman of Akin Gump Strauss Hauer & Feld LLP for nominating The Bronx Defenders for the award. Named for the founder of the nation’s public defender system, the Clara Shortridge Foltz Award commends a public defender program or defense delivery system for outstanding achievement in the provision of indigent defense services. The award is cosponsored by the National Legal Aid and Defender Association and the American Bar Association’s Standing Committee on Legal Aid and Indigent Defendants, and is presented to a different organization every two years. 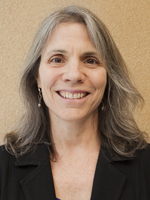 Robin Steinberg will accept the award on behalf of The Bronx Defenders during the awards luncheon at the National Legal Aid and Defender Association’s annual conference. This year’s conference will be held from November 6th – 9th in Los Angeles.